I can report that my Leconte is slow growing as well. Even on the same feeding regimen as my other pears. As far as FB goes, I wonder if we’re at greater risk being in the south. I lost a kieffer to FB and my Leconte has had a strike but it’s fine now…No issues however with my flordahome or pineapple pear trees and if there were ever a year where I’d expect to see it, it would be now as we had an extremely wet winter. Pears are in the shuck split stage and looking good. Got a lot of new pears getting ready to bloom. It may be an interesting year! 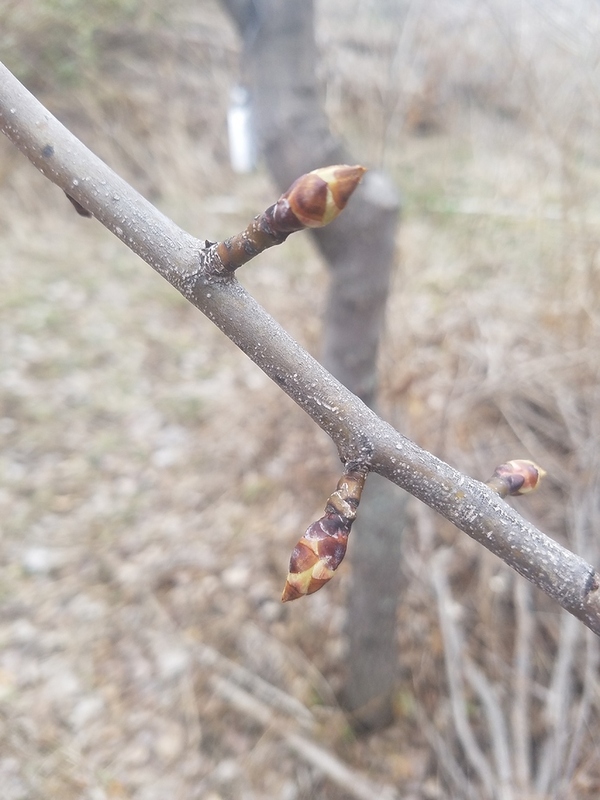 Farmingdale is covered in buds which im growing for its resistance to fireblight and future rootstocks. Countless high quality fruiting pears are budding. Most are in the tight cluster stage! Those look like they will fruit next year to me @Tonyomahaz5 . They are definately spurring up. Great. I am glad We were able to keep this variety going. @Chikn. Thanks again for sharing the scions. I have fruitlets on my unknown pear tree. If they hold perhaps I’ll know what pear it is!! The altoona backup graft i did has fruit buds. Maybe we will know what it is soon! Great! Update Us with the taste test this fall. Is there a chance spring is here and we are frost free? I may be protecting European pears from the hoards of stink bugs, squirrels, and birds this year. 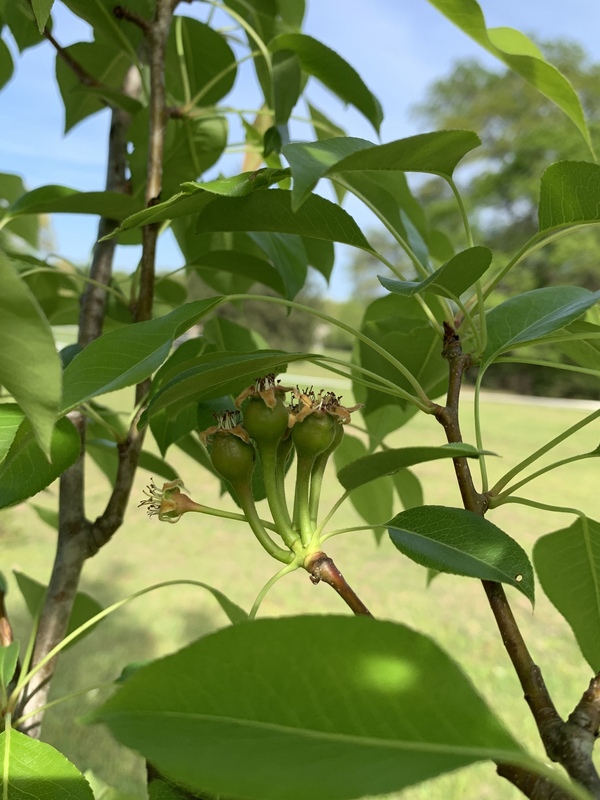 I have blooms on several pears just getting ready to pop open. Harrow Delight, unknown pear( supposed to be lanti jujuli) , Bartlett, fondante des moullins lille, ts hardy, Ayers, it’s pretty exciting! 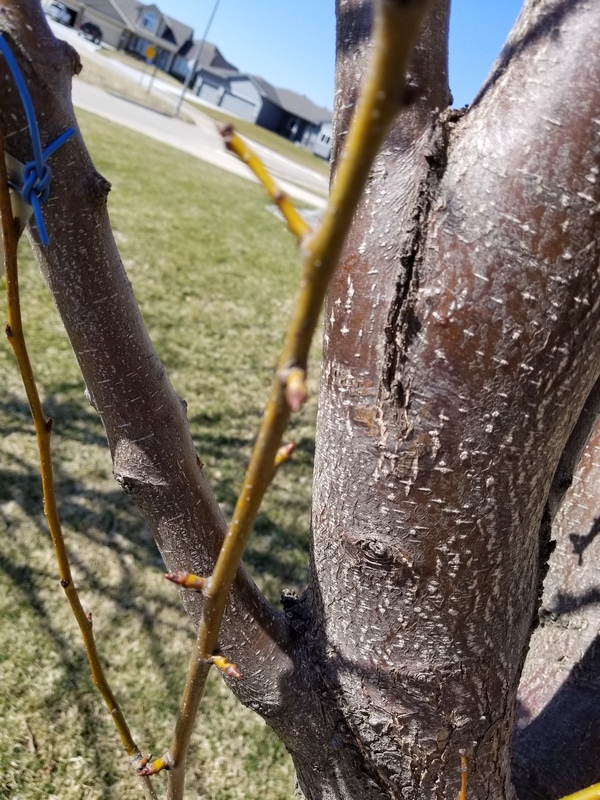 The great thing about grafting to mature pears is now you can figure out what you do and dont like before you graft an entire tree of something. That is true Clark, several of these are on my old pear tree. I am pleased to see that three of my much younger pear rootstocks have varieties that will bloom this year, they are not really ready to bear but I may leave a fruit , it will help bend the branch anyway. An Altoona update, That is one fireblight resistant pear! The old pear tree I had Altoona grafted to died back pretty sharply from FB this last summer. That tree was sited just down hill from my chicken coop which flooded earlier in the summer giving that tree a massive nitrogen dose. The only part of the tree that survived was the Altoona graft. This last summer they pushed down all the trees on this housing ground except for that pear tree. I drove by it in late Sept., and the dozer driver had his machine right next to the tree with his blade up as high as possible, picking pears. He dropped me one and jumped down and took his full jacket into the cab of his dozer and pushed that tree down. The pear was bright yellow, size of a tennis ball, hard-crispy, juicy, and very modestly sweet. I might of given you all a perry pear! Oh ,I’ve been wanting a perry pear, I hope it is! Today was the first day I did a survey of my lower orchard from winter. Abbe Fetel didn’t survive, neither did something with the word fondant in it. Everything else is doing well except I don’t know what is doing well because the wind stripped all the name tags off the trees. The pears all have massive amounts of spurs but I have no clue what they are. Got my apple tags too. Fondante De moullins Lille maybe. Yes, got it from Clark. the wind stripped all the name tags off the trees. Wind and birds is why I wrap tag strings around multiple parts of the trees at once, they never come off that way. What do you think killed your Abbe Fetel and Fondante? Your zone is half a zone colder than mine. So far, my Abbe Fetel, grafted on OHxF 87, looks to be fine. Fondante is an older graft and has done well. A perry pear might add some excitement to my orchard! Looking forward to trying it! Do you remember when it ripens? Ive got my backup graft and a very small tree. Glad you saved the pear because whatever it is most likely would have dissapeared had you not intervened. Last year was devastating to my new varities due to the drought with not a single graft or tree surviving. It was long overdue to have a drought like that and i made a bad deal a good hand so to speak by doing a bunch of pond work https://growingfruit.org/t/ponds-are-a-great-investment/7033. Like the orchard the pond has been a long project and a rewarding one!